How would you describe your employer brand? How did you do? Did you struggle at all? Did you have any difficulty coming up with the right messaging? If you can’t figure out your employer brand and/or you have trouble articulating it, prospective employees won’t be able to either. You may have heard the cliché that your customers are the lifeblood of your business. Without them, you have no company or profits to gain. But, there is another group of people who are integral to your company’s success—and that is your employees. And similar to how your consumer brand appeals to the people who will buy your products, your employer brand appeals to the talented people who will join your mission and help your business grow and remain a powerful long-term competitor. If you really want to hire the talent that will take your company to the next level, you have to attract them first. And the only way to do this is to develop your employer brand. Isn’t My Corporate Brand Enough? Why Do I Need an Employer Brand? According to LinkedIn research, 83% agree that having an employer brand can significantly impact a company’s ability to hire talent. In addition, an employer brand plan can actually lower your cost-per-hire by 50% and reduce staff turnover by 28%. Brands obsess over how to appeal to their consumer targets by strengthening their corporate brands, yet many fail to put in even a fraction of that same effort into marketing their employer brand. The global technology company Siemens used to attract top talent, but their brand has become less attractive in recent years. Since Siemens is a global brand, prospective employees were lured in by the opportunity to travel internationally. But since travel is much more accessible now, this no longer holds mass appeal. 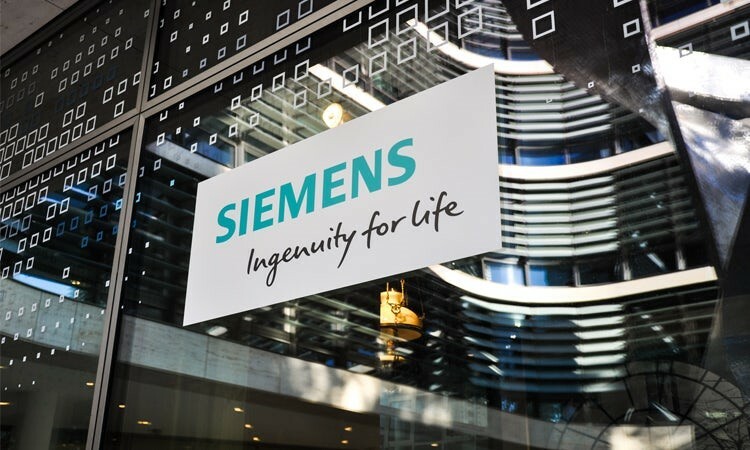 As a result, Siemens is undergoing a major employer brand shift to make its brand more appealing to the right employees. The company also needed to remain competitive when its industry shifted to more digitalization, which led to higher competition for technical talent. Riera also stressed the importance of allowing prospective employees to see purpose in working for you so they can bring their unique personality to the table instead of being forced to fit into an unfamiliar mold. Not as large as Siemens? It’s still important to develop an employer brand even if you have a small team. In fact, it’s MORE important. You are competing not only with the big guys like Siemens for talent but also with the small business owners in your industry. There’s a reason why companies such as Siemens invest so many resources into developing their employer brand. Hiring top talent is directly tied to long-term growth. The two are intimately connected. You need top talent to expand, especially if your company is in the early, more volatile stages where failure is a looming prospect. Today’s superstar employees have the leg up. They have their pick of companies to work for. So just like you have to market to customers to buy your products, you have to market to prospective employees to attract them to your brand. That’s right, you need to market. That means there must be a strong union between HR and marketing. You aren’t selling a product. You are selling an experience—the experience and opportunity the best hires will have with your company. How do you do sell an experience? Let’s take a look at some ideas. What Makes You Unique? Do You Have an EVP? A strong consumer brand is one that stands out from the competition and offers a unique differentiator that makes its products attractive. Your employer brand is no different. Communicate to prospective employees why they should choose you over a competitor. If the pay and benefits are the same for you and your competition, what makes you the best choice? Your employee value proposition (EVP) will communicate that differentiator to your prospects. Your EVP defines the culture employees will experience when working for you as well as your company’s strengths. Under the image is a video that features employees telling viewers why they feel MeetEdgar’s culture is different than other companies. And under the video is content that further discusses its company differentiators. 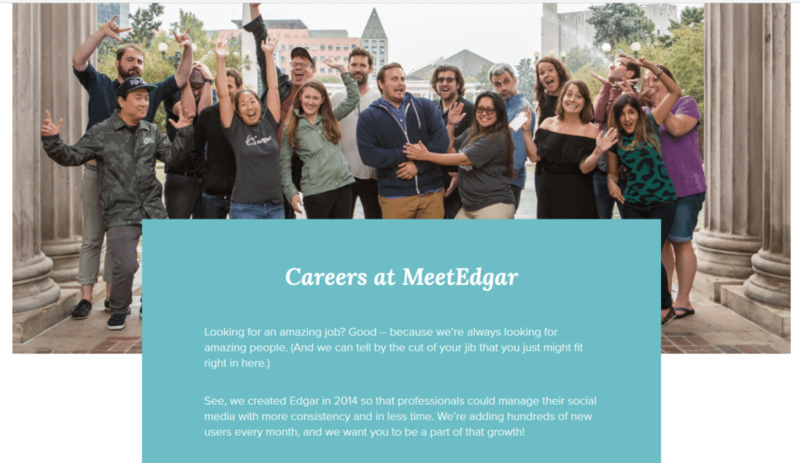 After viewing this page, potential applicants can get a strong sense of MeetEdgar’s culture and benefits without even speaking to anyone. This allows the company to attract the right talent that will fit into the culture and provide value from day one. Need help satisfying top talent and defining your EVP? The first step to defining your EVP is to understand what your employees want. Here is some data that may help. Below are findings from research performed by Harvard Business Review (HBR). 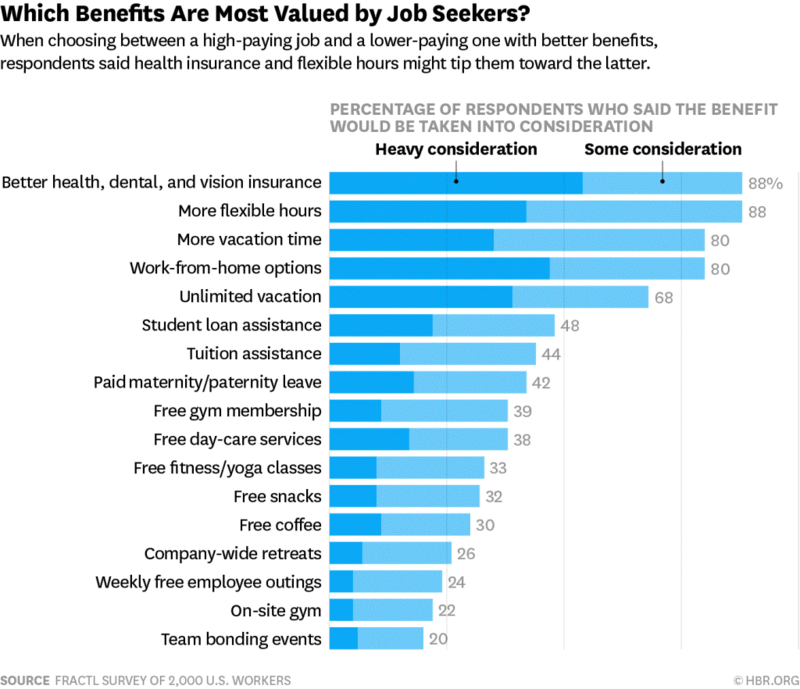 According to the research, high-quality health benefits and flexible hours, including work-from-home time, rounded out the top qualities employees seek. Flexible work environments are becoming increasingly important for today’s workforce. According to a 2016 Gallup survey, 51% of employees would change jobs to enjoy more flexible hours, and 37% would do the same if they had the opportunity to work part time in the location of their choosing. What do YOUR prospective employees want? If you want to drill into this deeper (we suggest you do), start researching your target employees’ needs and desires as they may be different from the norm. Survey your current employees. Are they happy with the benefits you offer? Do they feel like they are missing something? Is there anything they would improve? Peruse review social sites and job sites like Glassdoor and find out what people are saying about you and your competitors. Notice what they praise and also what they complain about. Catch the trends and incorporate them into your EVP. So, you’ve got all of your benefits and you have an EVP. Now, it’s time to humanize it. Before you can communicate your story through your employer brand, you need to know what that story is. If you did that exercise in the introduction of this article and you couldn’t communicate your employer brand in 15 seconds, you need to define your story. If you can’t figure this out, poll your employees for help. Ask them what type of experience they have with your company. List your company’s attributes and characteristics and paint a visual picture of how you want potential employees to view your company. What type of environment do you want to be known for? If someone were to ask your employees what they like about your company, what would you want them to say? 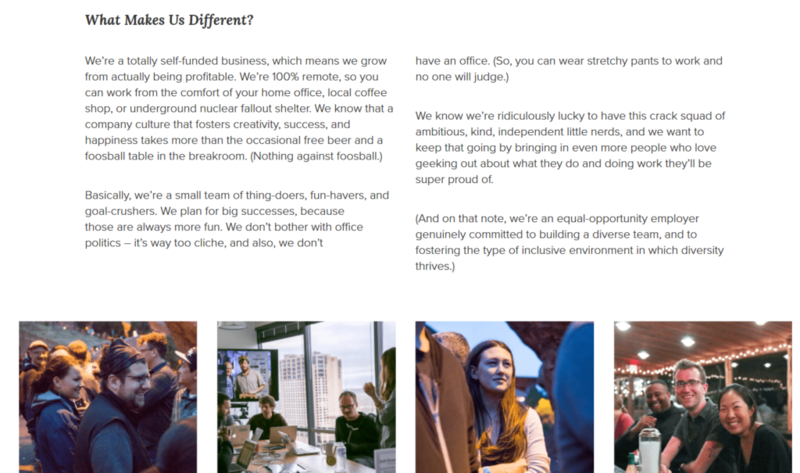 On its About page, Buffer created 10 value statements that embody its culture. These values play into Buffer’s brand story. When prospective employees visit this page, they will better understand its culture and will be able to evaluate the company and how/if they see themselves fitting in. Superstar talent will look for pages like these while evaluating your company. 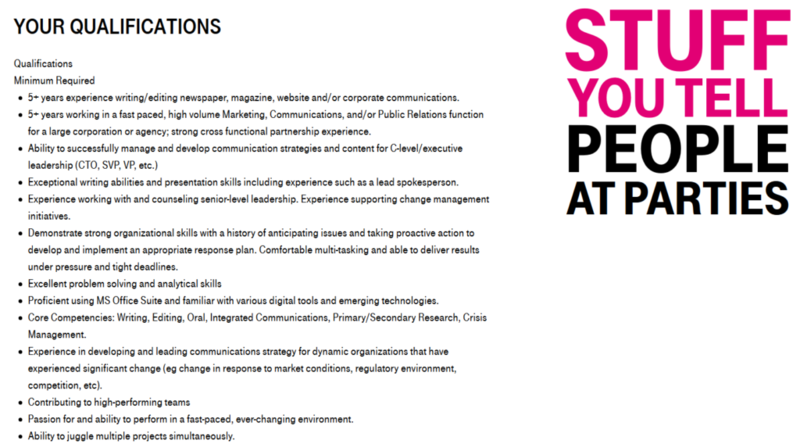 Another way to communicate your employer brand/job culture is in your job ad. Generic phrases such as “room for growth opportunities” will not communicate your unique selling point. Similar to how your products and online website reflect your brand’s unique value proposition, your job messaging should reflect your unique culture. Don’t be afraid to get personal and transparent. Are you an edgy, fast-paced company? Do you have the best pizza in the city around the corner? Inject these unique attributes and facts into everything you publish so the applicant can get a better idea of who you are and what you stand for. T-Mobile found a clever way to instill its not-so-serious brand vibe into its job ad. Get unique with your communication and allow people to get a glimpse of what it would be like working for you. IMPORTANT TIP: Don’t promote something you are not. If it isn’t a part of your culture, don’t mention it in your branded communication. If you do, your new hires will leave quickly and you will spend additional money and resources hiring ongoing talent. In an earlier section, we discussed the importance of advertising employee perks on your website and communication to entice prospective recruits, but let’s take this one step further. An effective employer branding plan focuses on the individual. Yes, company perks such as continued training and unlimited vacation time are enticing, but think about the perks that would attract the specific type of person you are looking to hire. If you are hiring a software engineer, this person might value quiet time and need focus due to the nature of the job position. Advertise that you have a quieter environment for software engineers (if this is true) that prevents distractions. Or, maybe you offer work-at-home opportunities twice a week to offer coders a quieter environment to work. The point is to know your audience and speak directly to them. Just knowing that you care about potential employees’ concerns is a selling point for top talent. Cater to each position in your job ad and communicate the unique selling points for each. Similar to how you put your customers’ needs and desires above all else, do the same for your prospective employees. A strong corporate brand gets rewarded with top customers who become loyal ambassadors. 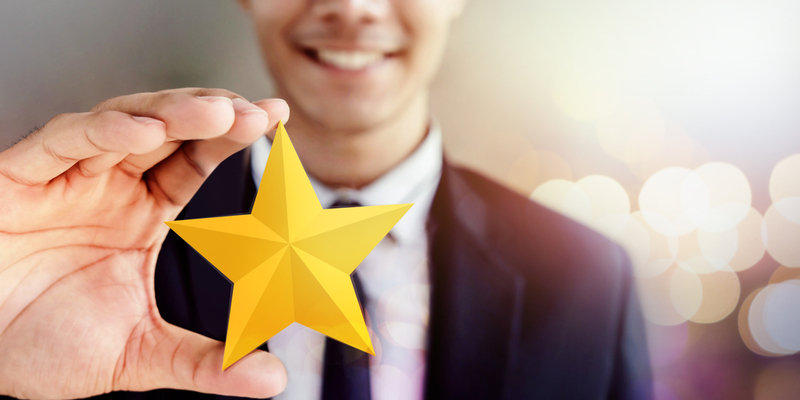 A strong employer brand gets rewarded with top talent who become integral to the company’s growth. Both brands are tied to growth. Both should be a primary company focus. Need help creating your employer brand? We can help. Contact us here today for a free consultation.